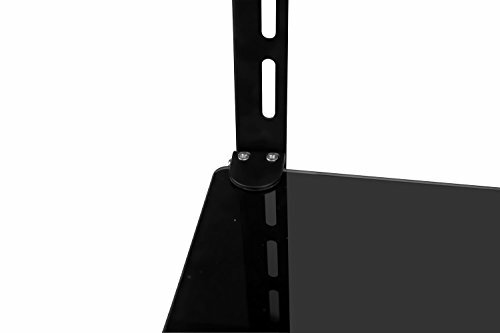 This DVD Mount Bracket is designed-Inch attach-Inch the back of your TV in its VESA mount holes. 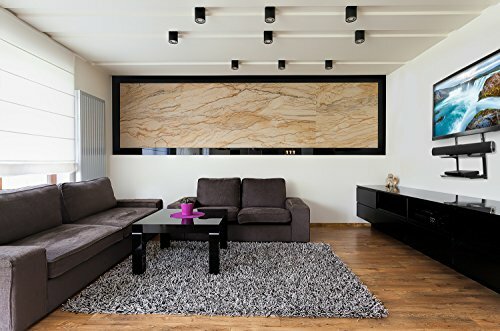 The unit has a smoked tempered glass shelf that can be placed above or below the TV-Inch hold a DVD player or any other similarly sized device. 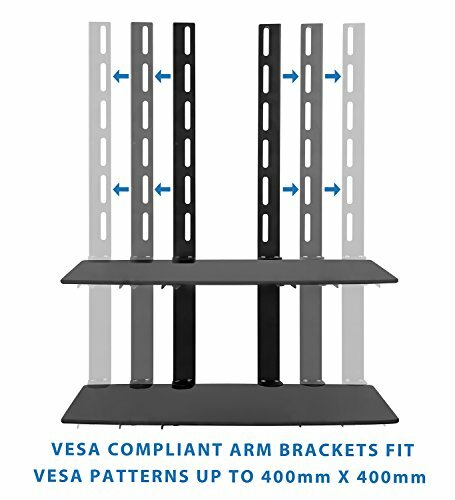 The bracket can fit on almost any TV with a maximum VESA mount size of 400x380. 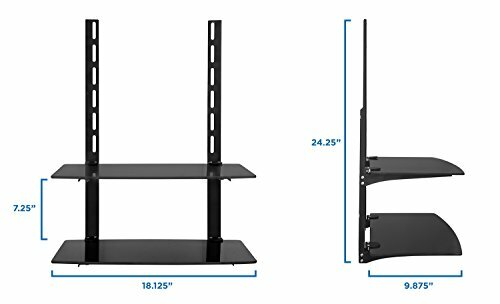 The maximum weight capacity of the bracket is 10 kg (22 lbs) so if it is setup with the shelf under the TV the-Inch tall weight of the TV and whatever is put on the shelf cannot exceed the maximum weight capacity. 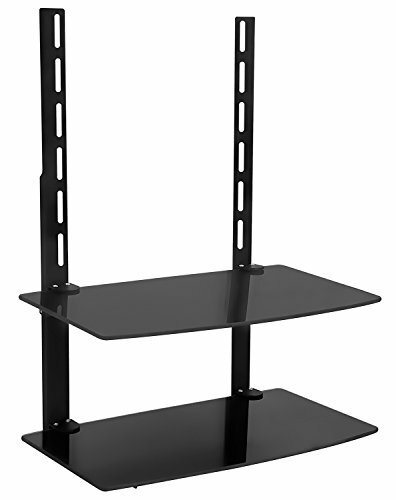 The shelf can also be mounted above the display in which case it can support the entire 22 lb. weight. 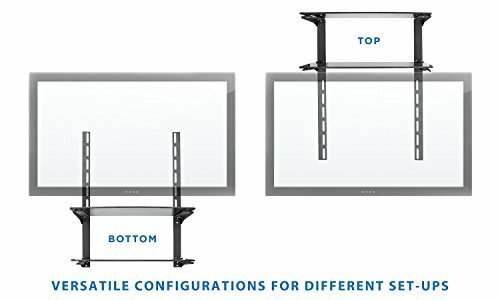 PS: TV mount is not included. Instruction on how to install and hardware included.